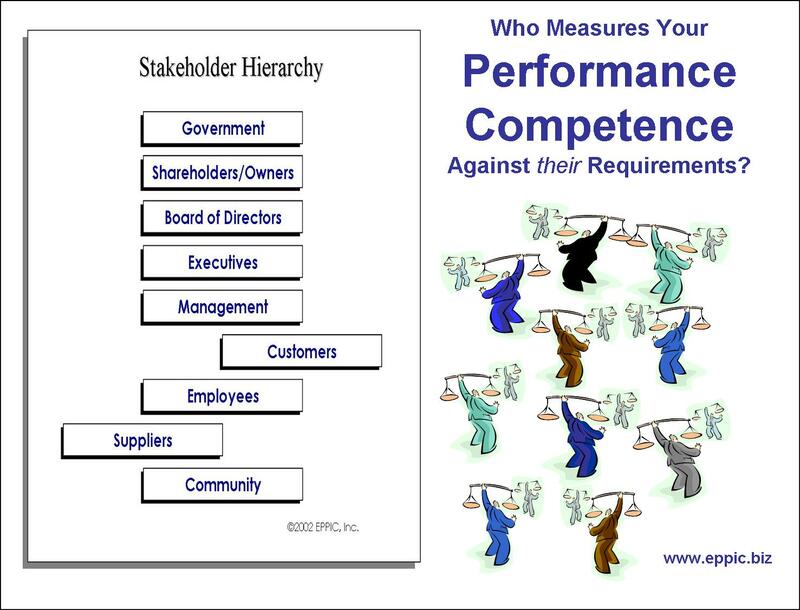 Who Measures Your Competence Against Their Requirements? EPPI is my version of HPT – Human Performance Technology – in a Process approach – a configuration of concepts, methods, models, tools and techniques. Sourced from many ISPI/HPT and TQM sources – many of whom I cannot quite recall. My bad. I put it in an adaptable process – because I had to show potential clients exactly how we would approach this in a more predictable manner – with a more predictable schedule and cost – than – “we’ll just see where this takes us.” Stay tuned – is the message – and we’ll know your costs when the final invoice arrives. It also allowed me to adapt the process with them to make sure it was appropriate/feasible in THEIR CONTEXT. What you cannot/ should not ADOPT – you should ADAPT. 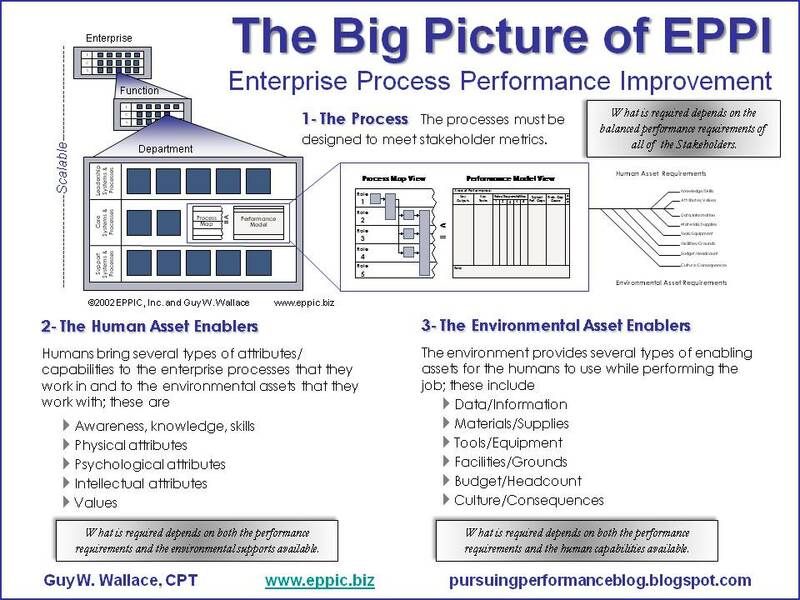 It itself – the EPPI processes (2) – views any one process as an upstream processes with “outputs as inputs” being delivered to one or more downstream processes – with THEIR REQUIREMENTS defining acceptable – or not – outputs/inputs. It sees processes in a scalable manner. The enablers either enable the process to meet those needs – or they do not. It recognizes that stakeholders include more than the Customer – and in fact that the Customer is King (Not). Important – but not the highest level stakeholder in case of any conflicts in requirements. A Slideshare document on this is available here.